YouTube has emerged as the most popular video sharing website allowing businesses, digital marketers and professionals to exhibit their videos on the platform. Posting explainer videos on YouTube can bestow a brand identity to your business within a short span of time while giving the viewers a better understanding of the product line. Apart from giving the ideal exposure to the video marketing for your brand, YouTube is also a great place to post videos and earn money online. The explainer video about your product, brand or business plays a crucial role in educating the target audience in a interesting way. Ideally, a video of 3 minutes duration can give the viewers much better understanding about the product than a long text that is often boring for many to read. If you are good at creating engaging videos at periodical intervals, consider placing them on your YouTube channel to make money online. The foremost problem that the clients often encounter on the platform is the difficulty to get visitors to see their videos. There is already tremendous competition from niche videos on the website. This is not a problem if you have a plan to promote the videos. To help you to get free views on YouTube, we have provide the most effective strategies used by experienced digital marketers to drive views, subscribers and likes to their videos. You do not have to be a marketing expert to do this, just follow these tips to see the difference. One of the traditional ways most people assort to promote videos on social media is to share the link on Facebook and similar other sites. In a recent research, it is revealed that the shared links get fewer views than any video uploaded on Facebook. Use the Facebook’s Native Video Uploader tool to upload the YouTube videos. For successful audience engagement to your YouTube channel, add a call to action with the video on Facebook inviting them to subscribe to your videos on YouTube. Do not forget to add the link to your YouTube channel with the shared post and the call to action. The niche audiences take interest in channels where they find new videos periodically. If you do not post new videos on the channel, the traffic rate and views will fall in due course. Try to maintain regularity when uploading new videos. Choose a certain day of the week and keep the schedule same for every week. The subscribers are notified automatically when you post new videos on the channel. If the audiences receive the notification at proper instances, you will get views regularly at the channel. This is one of the best ways to get free YouTube views. If you have a high traffic blog or website, embedding the videos on the blog can help in increasing the views significantly. When doing so, place the YouTube videos URL amid relevant text contents with some images to make the entire combination look like a high quality blog post. If you want to embed videos on a blog or website, make sure that the niche of your blog and the videos are the same. This will attract niche audiences not only subscribe to the YouTube channel but also engage them to achieve improved results with the blog traffic. Do share the blog post and the videos across all social media platforms to get greater exposure. The title is the first and prime factor your audiences will take note of before watching the video. The title should be very precise and give clear idea of the content to expect in the video. For best results with the SEO, it is mandatory to keep the title within 50 characters. Long titles are cut off from the view of the audiences lowering the chances of getting views. For greater impact, try to include the main keyword in the title. Using the keywords in the description is very important to tell the audience about the topic in the video. You need to dedicate some time into the research process to find the best suitable keywords to rank up high in the SERPs (search engine result pages). Use the top keyword research tools like the Adwords Keyword Planner or Google Trends. You can add links to your website or blog in the description. Putting a link to the playlist will also help the audience to navigate to other videos on your channel. If they find the videos interesting, there are greater chances of building a strong subscribers’ list. Not all audiences looking for similar content on YouTube or search engines enter the same keyword. You must try many alternatives to build up a larger audience base. Use semantic keywords and long tail keywords to optimize your video content. Try to find the long keyword phrases you think the audiences may possibly use to find similar contents. Ubersuggest is a wonderful keyword tool to find long-tail keywords. You can use the most powerful in the list to place in the title or the video description. This is the best among many tried and tested video marketing strategies. This will take some time especially if you are not well acquainted with digital marketing techniques. Buffer Social recently published an analytical report based on their research on video length that grabs the audiences’ attention. Based on the studies it has been found that the ideal length of a YouTube explainer video should be 2 minutes 54 seconds. On an average, your video should not be more than 3 minutes and less than 2 minutes to get the desired outcome. If you want to succeed in promoting the videos on YouTube, the ultimate aim should be to achieve better results with organic or unpaid searches. In other words, you need to get free YouTube views as much as possible. Search engine optimization is your ultimate goal to provide better experience to the viewers hitting the play button to watch the video. You can also use the autocomplete feature on YouTube to find the best suitable keyword alternatives to use to promote the channel. This is very easy to do. Start typing your video topic on the YouTube search bar. You will see similar other terms appearing as suggestions on the screen. If any of the options match your video content, consider the phrases and work on them for search engine optimization. Once you have chosen a set of keywords, perform a Google search to see the competitors’ videos in the list. The presence of similar videos in the list shows that there is a great audience base looking for these videos. If you are posting a series of educational videos, you need to create different playlists for a particular group of videos. Use proper keywords for the playlists to attract more visitors. You can create customized video thumbnails where the series of similar videos will appear. The audiences will easily find the section of videos they want to see on the channel. Use relevant captivating snapshots and annotations on the thumbnails to raise the interest in the visitors at the channel. It is important for the audience to understand what they are going to see in the video. Many people miss the description written below. Your video must start with an intro. The intro should explain the topic properly. The duration of the intro plays a crucial role in retaining the audiences. Your intro should not be longer than 10 seconds. Ideally, the video marketers try to keep a 5 seconds short intro. If your intro is too long, the audiences may leave and click on any other similar one in the list. The ultimate way to get free views on YouTube regularly is to have a large subscribers’ list. You can add a call to action immediately at the end of the video content asking the viewers subscribe to your channel. If they really like the video, there are greater chances to get a positive result. Some people place the call to action in the intro. This may make the intro duration longer. Unless the visitor watches the entire content, he is unsure whether it is good to subscribe to the entire list. Try experimenting with the placement to see the difference. You can edit the videos accordingly later. Many viewers visit the channel homepage to get more information apart from the watched video before subscribing. Add an informative and engaging trailer on the homepage. This trailer appears on the top of the channel page. This is an interesting YouTube feature. The trailer plays automatically only for the non-subscribers visiting the channel for the first time. The regular subscribers will not be bored with such repetitive content. There is a red Subscribe button at the bottom of all videos on YouTube. You can get greater results by adding a similar button on your blog or website. Add unique call to action with the button to prompt the website audience to subscribe to the channel. The position of the Subscribe button should be adjacent to the embedded video on the blog or website. While a large subscribers’ list ensures you will get regular views on the YouTube channel, the greater number of likes on the video is another useful element to grow the audience. When a viewer sees a considerable number of likes on a video, he or she is sure of the quality of the content. If your videos get more likes, it is favorable for growing an ever-increasing audience base. There is a ‘Like’ button below all videos on YouTube. You can add a similar solid color button on your blog and website placed next to the embedded YouTube video. This is not only a great factor to get free YouTube views, drive audiences to the channel but also grow the blog traffic. The videos with greater number of likes get the chance to range higher on the YouTube and Google platforms. Higher your video position, the greater is the number of views you can expect. This is very easy and catches the attention of the audiences on the blog or website. The widget looks like a small but notable tool displaying all your videos. You can add the YouTube widget to a blog by pasting the provided code. The audiences leave comments below your videos sharing their experience, opinion and sometimes queries. At times, you may get negative comments too. Reply to all the comments politely. If there is a query, try to give the best possible answer or solution. Your nice gesture is pleasing to the audiences. Sometimes, people view these comments first before seeing the video. If they find you responsive to the comments, they may take greater interest in subscribing to the channel. The comments are like feedback allowing you to improve the videos in future. It will help you with the work for the upcoming projects, video marketing strategies etc. Co-branding is an advanced online marketing strategy and implies to promote your YouTube channel too. You can work with other YouTube channel admins to promote each other’s videos. You need to get along this job through proper marketing channels. The video marketer handling a lot of projects apply such simple techniques to grow target audience base. If you are looking for co-branding without spending much time in contacting other YouTubers, building relationships and others, the GrowViews is the best tool to consider to get free views on YouTube. The tool is designed specifically for directing organic traffic to YouTube. With this tool, you will get more people to watch your videos, subscribers returning regularly to watch your new videos, likes etc. You can get started with a free plan and stay on it for unlimited period getting views in exchange when you view videos from other subscribers. The GrowViews tool is a time saver option for internet marketers, business owners, YouTube channel admins and all others. You do not have to waste time and energy contacting other YouTubers and convincing them to promote your videos. GrowViews has a massive clientele base with a network of more than 111685 channels. There is much to explore at GrowViews. The company also offers special cost-effective packages for internet marketing agencies to help them accomplish the video marketing projects effectively. The company has strict anti-spamming policies and does not use auto bots or other unfair means to drive traffic. For more information on the tool and its functionalities, visit www.growviews.com. Study the analytics report at your YouTube account dashboard to find the most promising audiences on your channel. You may contact them to share the videos with their friends. You can also place a generic call to action below the video with a ‘Share’ button asking everyone to share the video with his or her friends and others. This strategy works splendid if you are already running an education or tutorial website. If your videos are also related to the educational material in a series, there is very high chance to get YouTube views for free, build a larger audience base and subscribers on the YouTube channel. Note: When sending video links the email subscribers, make sure it is of use and interest to the recipient. If the video content does not match your blog content where the person has subscribed, it can result in loss of blog traffic. Nowadays, Google and all other standard search engines place the videos in search results for all keywords. Consider optimizing the videos for the keywords for search engines to get free YouTube views. Upload videos on all social media websites- Twitter, Tumblr, Google+, Facebook, Pinterest, Instagram, LinkedIn etc. You can also consider SlideShare to share your videos too. If you have a huge community at Google+ with whom you chat regularly about similar topics, it is beneficial to utilize this list to grow traffic on the YouTube channel. Use the ‘Hangouts On Air’ feature to record and upload the Hangouts automatically to YouTube. You will then be able to promote your channel on Google+, the most densely crowded social media platform next to Facebook. # Bonus Tip: Promote Your YouTube Channel It takes great effort to promote individual videos to get subscribers to the YouTube. Consider promoting your channel as well. You can place the trailer video on the channel across social media platforms to get more visitors. All the above-mentioned strategies also apply when trying to promote your channel. While the first step to grow income on this video sharing site is to get YouTube views for free as much as possible, it is essential to consider some important facts. 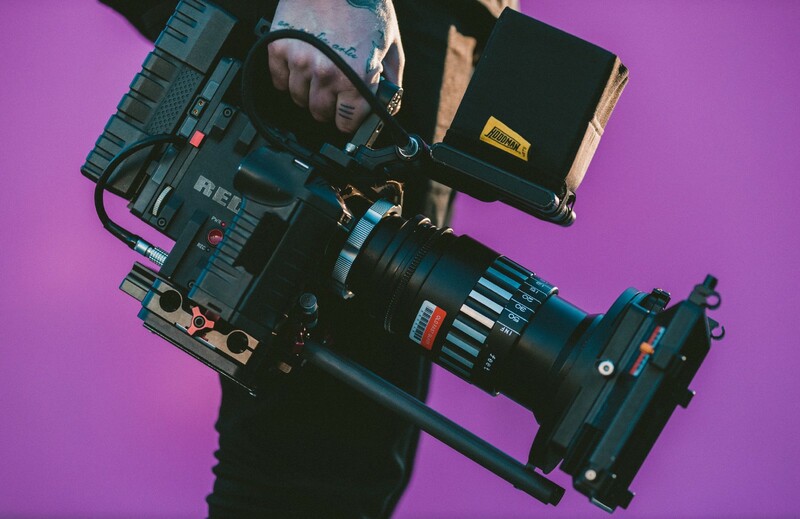 If you want to outreach the neck tight competition and grow the brand identity for a new or existing business, the video marketing can make all the difference. The market experts opine that this form of promotional strategy strengthens the content marketing project making it convenient for the brand owners to get quick results in terms of conversions. Not all videos are same nor are the audiences. Therefore, it is impossible to predict a specific formula for sure success. Keep trying out different methods while tracking the changes. This will give you the idea on what works best for the niche videos on your YouTube channel. http://www.growViews.com is a free platform where users can increase their #YouTube channel with human real views.You can decide minimum seconds for your views.